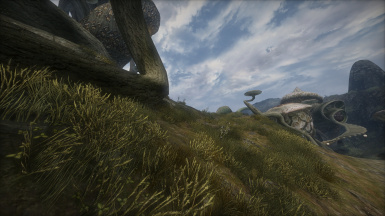 Grass for Morrowind - vanilla and Tamriel Rebuilt support. Made for every region. Includes Mesh Generator files. 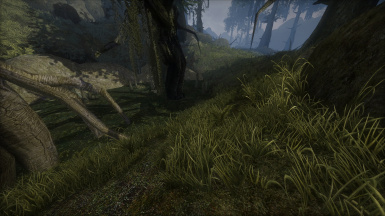 You are allowed to use the grass in your mods, recolor and modify it as long as you give credit. You are not allowed to use the grass in other games without permission. 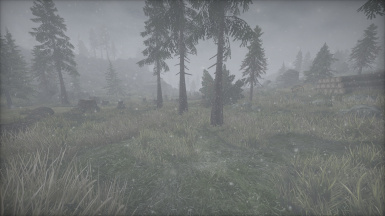 Do not redistribute this mod on sites or in packs without permission. 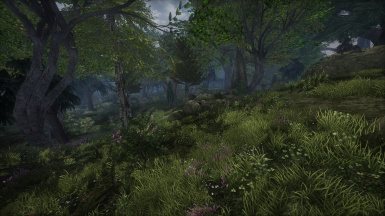 Makes every landscape covered in rich grass, made with vanilla aesthetics in HD. 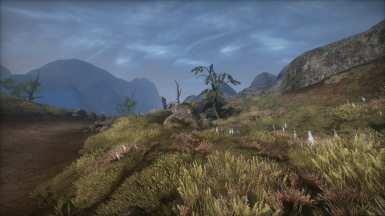 Lands will feel fuller and more lively with minimal to no performance cost on average PC. If you like my mods, please take a look at my website. I show my art and others. 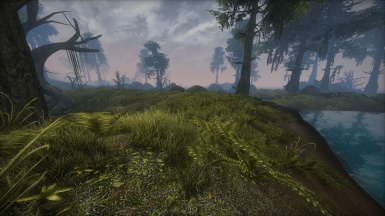 - There are "Grass Vanilla" and "Grass Vanilla regions" folders, which one I use? 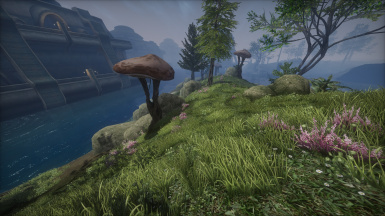 - What are differences between "Grass TR" and "Grass TR preview"? 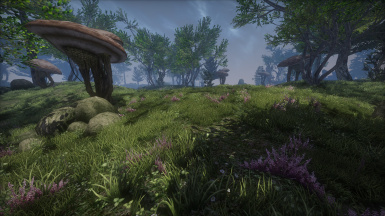 - "Grass TR" is full grass for all the playable Tamriel Rebuilt areas, "Grass TR preview" is additional grass for Tamriel Rebuilt unfinished areas. 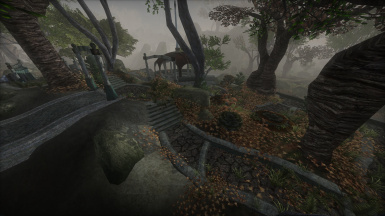 Use both when generating grass when using Tamriel Rebuilt with TR preview enabled. - Does this mod work with Rebirth? - Yes, but you have to generate custom plugins for it, read the "Generating your own grass plugin". 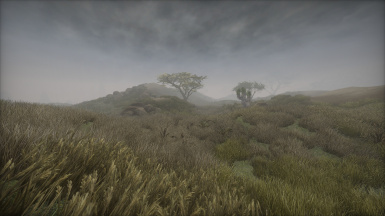 Remember - when generating grass for Rebirth, use only Rebith plugin in "data files to search", with no Morrowind.esm. - How to use the generator when using Mod Organizer 2? - You should rung Mesh Generator using Mod Organizer's executable running feature. 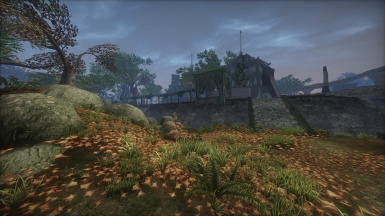 - I get grass in inappropriate places, like in cities, clipping through things. - This is something to investigate. Because the generator is imperfect, grass will appear sometimes in bad places. I'll try to find a way to efficiently reduce these problems. Best would be building new grass generator, but this one is beyond my abilities, I'm sorry. 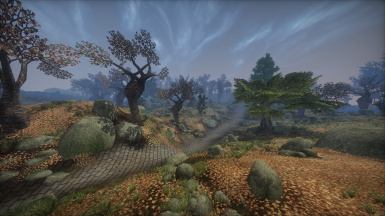 - Does it work in OpenMW? 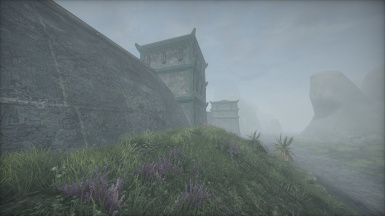 - OpenMW currently doesn't have dedicated grass support like MGE does. 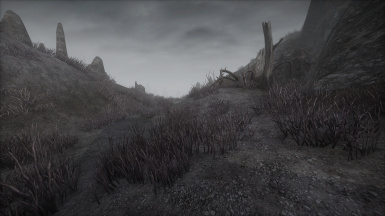 While you can load grass as mod plugins in OpenMW, they will reduce the performance compared to using the MGE's dedicated grass feature. - Drop all the files to Data Files folder. Works with Wrye Mash and Mod Organizer too. - Do not enable grass plugins in the load order! 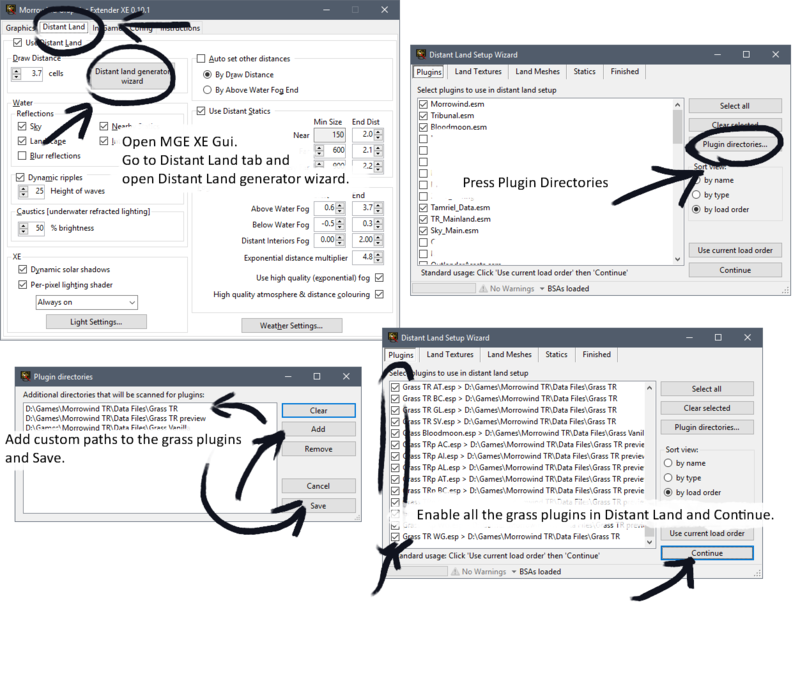 Instead use Distant Land generator from MGE XE - when generating distant land, enable the grass plugins in it. 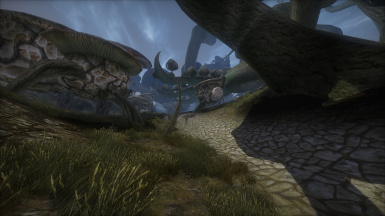 - Important: if your game world is big - uses Tamriel Rebuilt + TR Preview, you should apply 4gb Patch to MGEXEgui.exe. When adding grass to vanilla, chose only full or regional, never both. 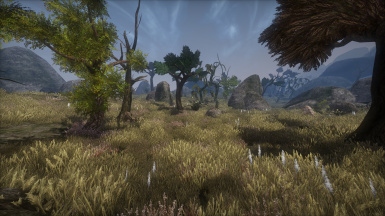 If your modded setup has modified landscapes, use the Yacoby's Meh Generator to create the grass plugins for your game instead of using 'vanilla grass' plugins from the pack. - Download Yacoby's Meh Generator. After you run it, point "Settings Location" to "Grass generator config". 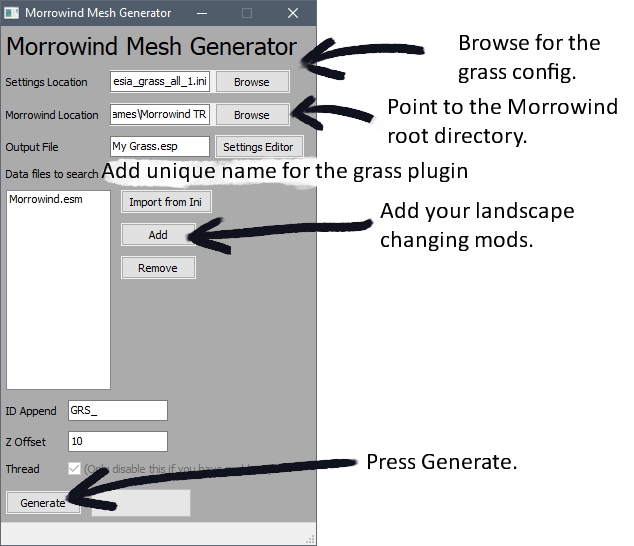 Chose the config file regarding your needs if you want to generate grass for all the land or individual regions. "Aesthesia grass full (2 parts)" is full grass split to 2 parts. Same for "Aesthesia grass full (3 parts)" which is split to 3 parts. Chose only one of them. 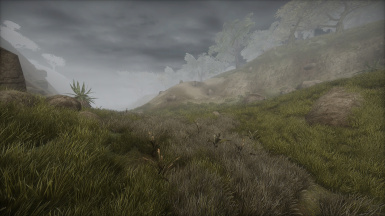 Alternatively, there's "Aesthesia grass regions" which has files for each region. 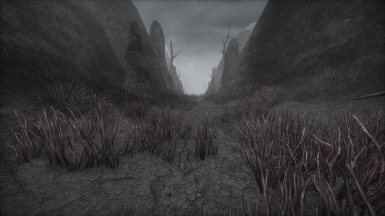 - Input "Morrowind location" to the root Morrowind directory. - Give unique name for "Output File". - In "Data files to search" click "Add" and chose the plugins from your modded setup that modify landscapes. - If generator closes automatically - it crashed and your grass plugin is unusable. In this case repeat the steps, but as "Settings Location" chose the smaller file (if you used "Aesthesia grass full (2 parts)", use the "(3 parts)" one instead, you can also generate by each region). - When generation is successful, program will inform you about complete generation.